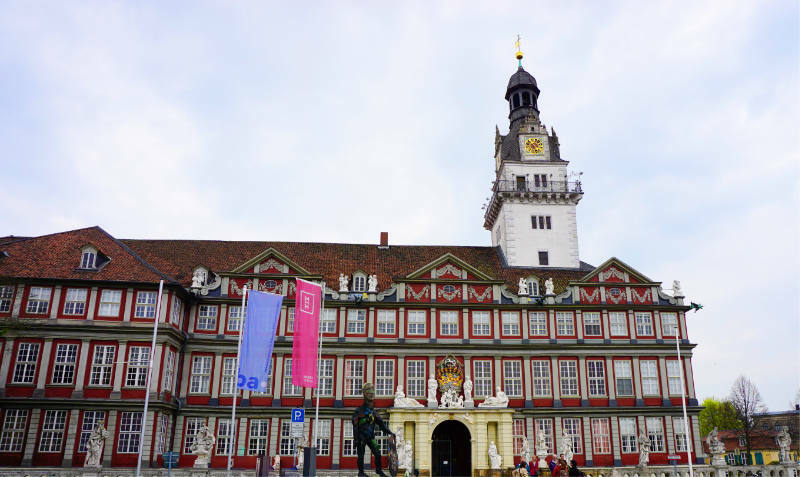 Friday afternoon – a little more than 40 travel bloggers meet at the city market square in Wolfenbüttel for a sightseeing tour. Quickly split into four groups and here we go. 4 stops in one hour, coordinated in such a way that there is only ever one group at each stop at a time. This is what I call Speed Sightseeing. My special gratitude goes out to our guide, who was pretty relaxed about the fact that 50% of the group was permanently on the lookout for the best picture and kept disappearing and only 50% of the group was actually listening. Our first stop on our Speed Sightseeing Tour in Wolfenbüttel was the Castle Wolfenbüttel. The Castle Wolfenbüttel used to be a water castle, erected by Widekind von Wolfenbüttel (in approximately 1074). Over time the castle got destroyed in wars many times. Some elements, for example the original footprint and the moat, date back to the beginnings of the castle. In 1553 Duke Heinrich the Young had the castle renewed. Inspired by the Italian style a courtyard with arcades was built. The tower from 1613, called Hausmannsturm, is still standing. 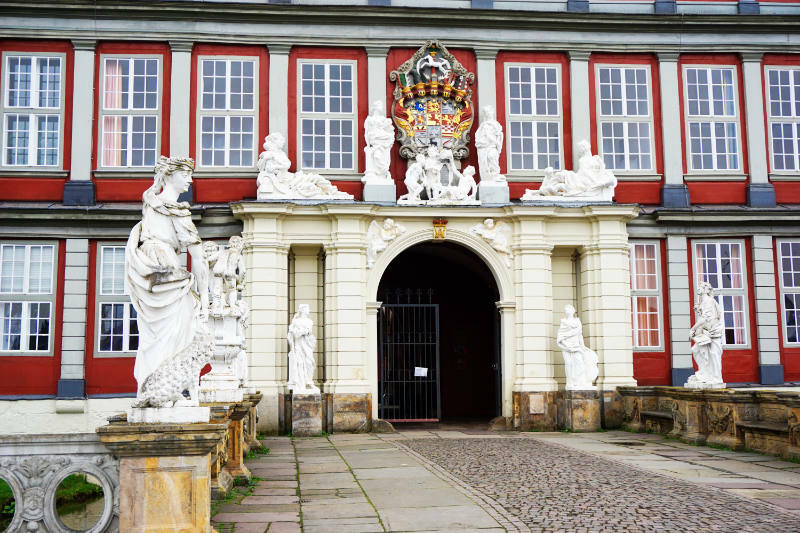 A new timber-framed façade was installed in 1714 and a stone gate was added. The stones used in the bridge also stem from this period. 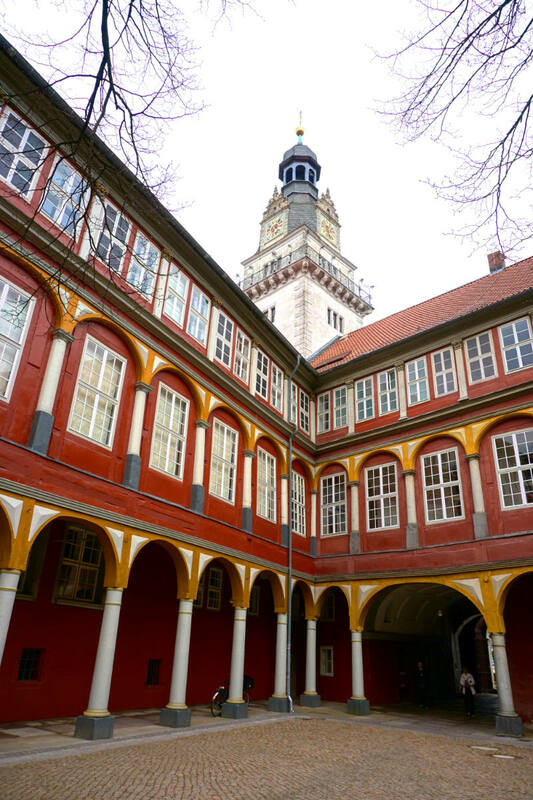 The court and entourage of the Duke left the castle in 1753 and it has been empty until 1770 when Gotthold Ephraim Lessing moved in for five years during his assignment for the Bibliotheca Augusta. 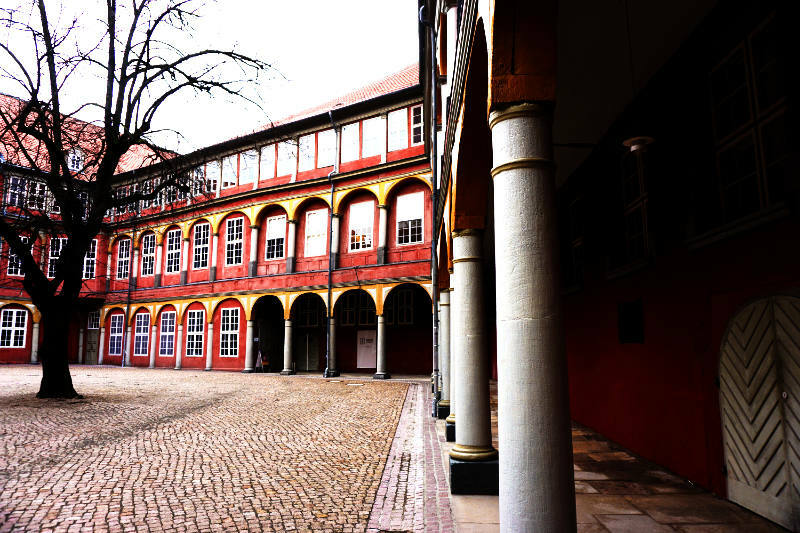 Today, the castle’s north wing houses the Federal Academy for Cultural Education Wolfenbüttel. Other rooms are occupied by a museum and the biggest grammar school in the city. In the 15 minutes we had we were obviously not able to see the entire castle. But it was enough time to hear about the history of the building and also to see some of it from the outside. Most noticeable is the red colour of the castle. From in front of the castle, before passing the gate or the bridge, the view of the timber-framed façade is best. Only a closer look will reveal that something is not right about the design of the façade. Some windows are only drawn on to keep the pattern symmetrical. The stone gate with figurines that represent the qualities of the citizens is impressive. A view into the courtyard shows us beautiful arcades. The arcade upstairs was closed over the years, it was too cold in the building! From here you have a great view of the Hausmannsturm. Too bad that there wasn’t enough time to visit the museum. State apartments of the Duke are to be seen here. We walk past the castle and get to the Lessing House. 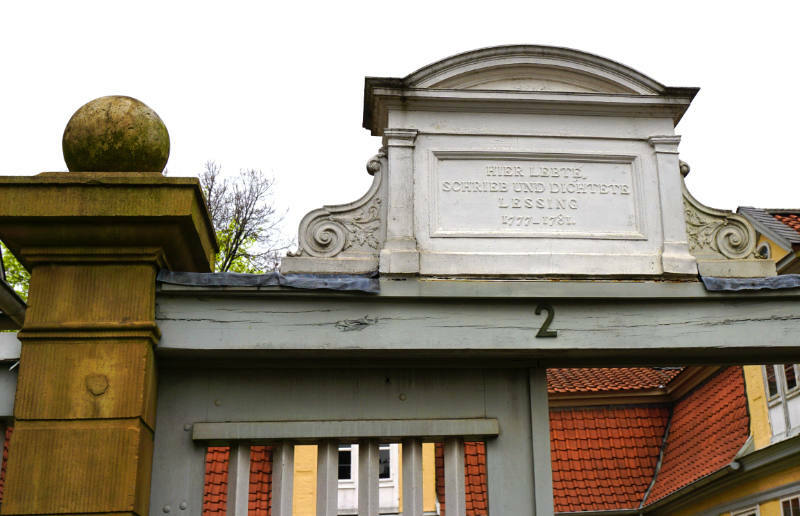 Lessing lived here from 1777 until his death in 1781. At first, his wife Eva König and their child lived there with him. After their deaths, Lessing used the room in which they died as his study. Amongst other works, he created Nathan the Wise in this very room. There is not very much left of how the house used to look. A few pieces that are thought to have belonged to Lessing commemorate his life. The house is a museum for literature today. The best part of our visit for me was when a poem by Lessing was read to us. I am grateful that I got to experience another side of Lessing which I didn’t get to see in school. 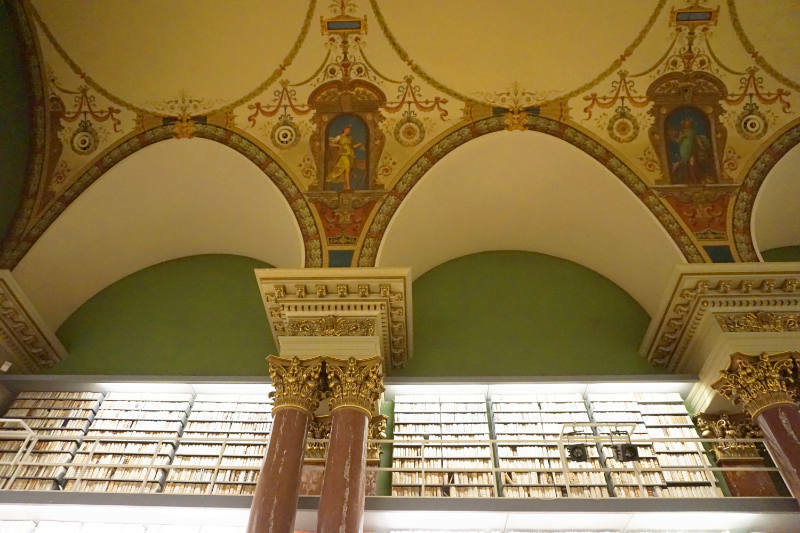 The best bit of the Speed Sightseeing Tour was the visit to the Herzog August (Duke August) Library. 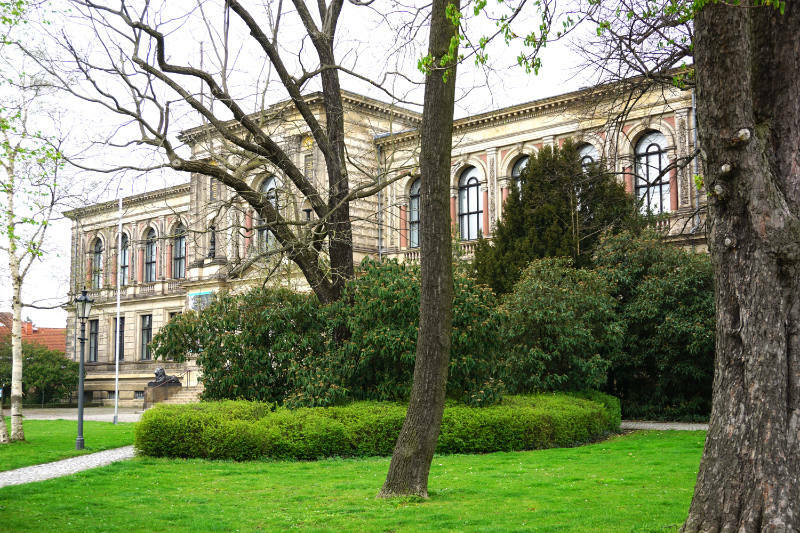 The ducal library was founded by Julius zu Braunschweig-Lüneburg. 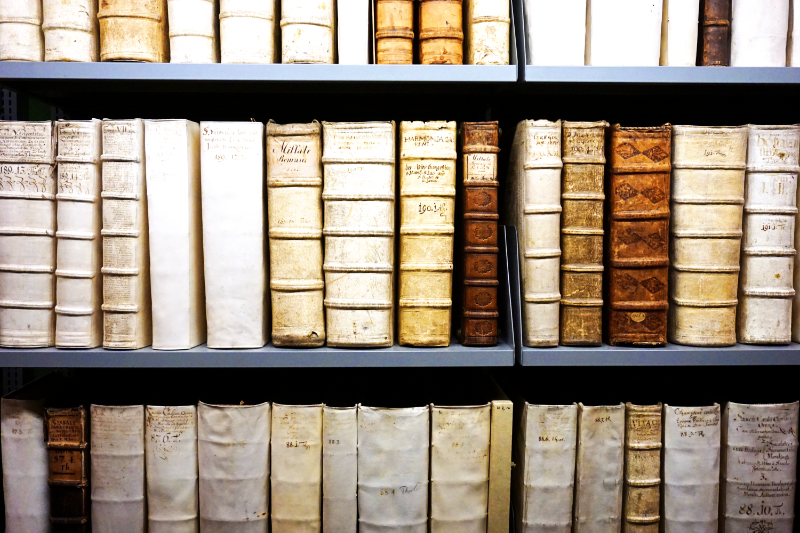 He discovered his passion for collecting books during his studies in France in 1550. He started with novels, literature from his studies and theological texts followed. In 1567 the Duke bought a complete collection of humanistic and juridical works. This and other purchases grew his collection even further. In 1572 he developed a document with rules and regulations for his collection which is regarded as the founding document of the Library in Wolfenbüttel today. It was Duke August the Young who brought the library to fame beyond the borders of Wolfenbüttel. 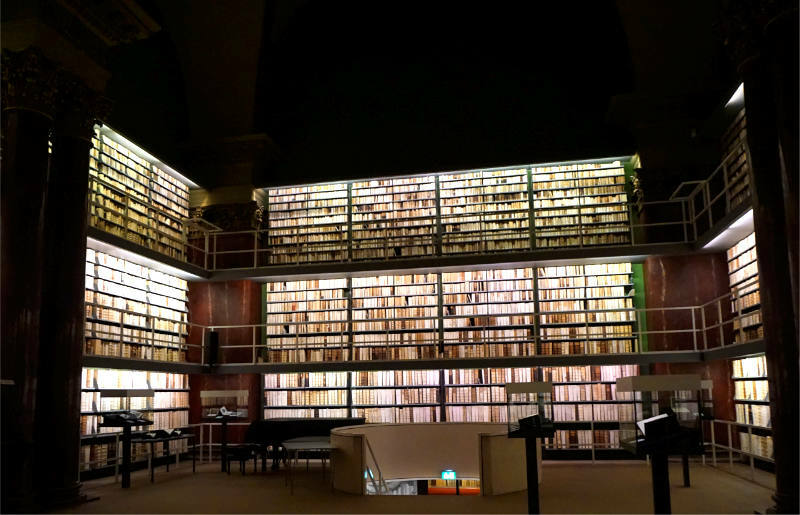 His own collection of 6000 texts, alphabetically catalogued, was held in a different building. In 1625 he split the collection into 20 subject groups and had them marked with book numbers and shelfmarks within the subject groups. The codes were noted in book catalogues. Every new book was sorted according to this system. To protect his collection from the Thirty Year’s War he had it transported to Wolfenbüttel. Until he died he grew his collection through purchases, gifts and inheritances until it counted 135000 texts in 35000 books. Over the next centuries, this number increased further. A new building for the collection was constructed. The first library building in Europe. Some well-known personalities from Europe came here to study and learn. Amongst them Gottfried Wilhelm Leibnitz and Gotthold Ephraim Lessing. Only a short look inside the library was possible on our Speed Sightseeing Tour. But to be honest, this short visit was enough to get me. Some rooms are open to the public and feel more like a museum. Modern shelving systems are integrated into the old building. Big columns with artistic reliefs are right next to modern steel staircases. The contrast could not be bigger. This place isn’t for dark books with heavy, old leather covers. Here, the books have bright covers and are sorted by size. In the glass cabinets are some exceptionally interesting items. 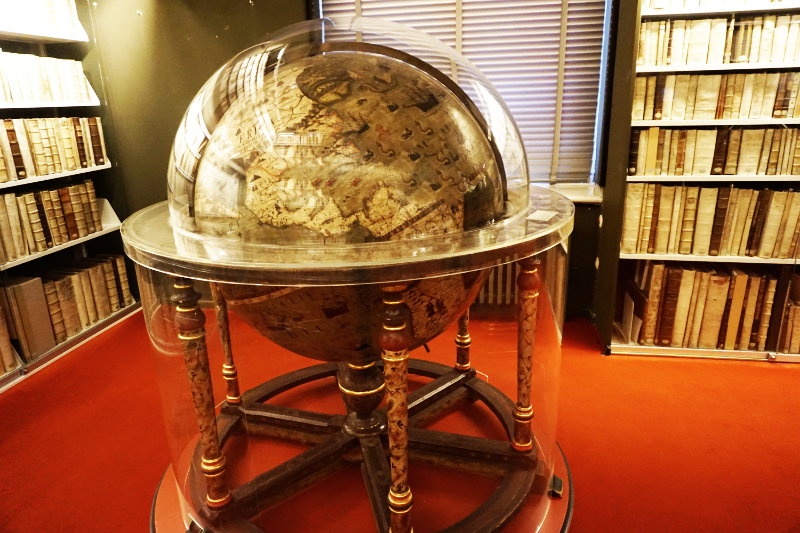 Another room holds wonderful globes. I believe I could spend hours wandering through these rooms, inhale the scent of the old books and enjoy the atmosphere. Or sit down in a big, comfy armchair and discover the world of these fascinating books. Stop number four on our Speed Sightseeing Tour is the Civil Museum Wolfenbüttel. 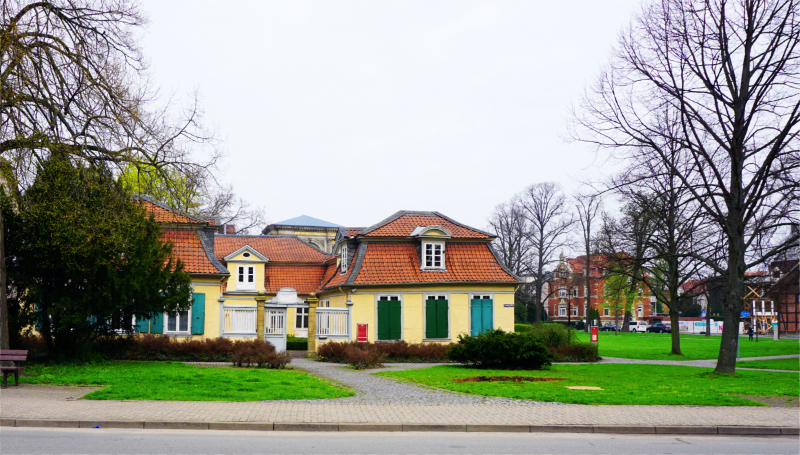 Only a few steps from the Herzog August Library, in a former riding hall (that was later used as an indoor sports hall), a museum was opened in 2017. 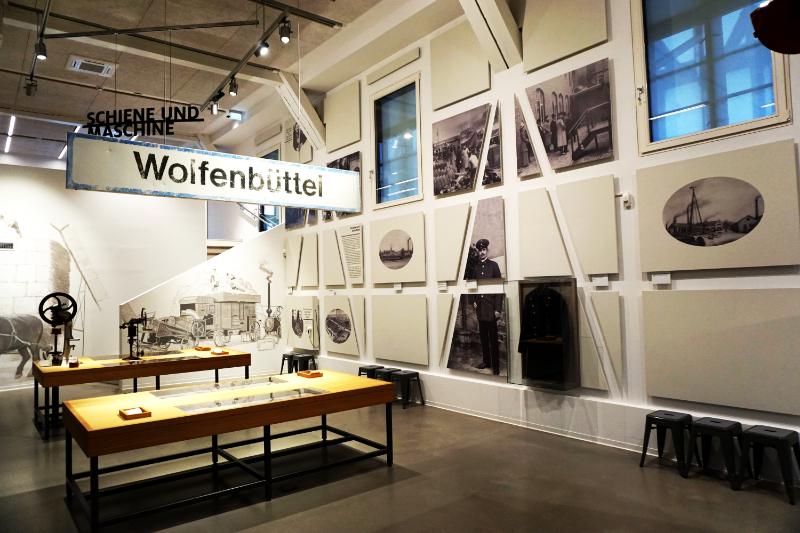 The museum shows the history of the citizens of Wolfenbüttel over the last 500 years. It isn’t the history of royalty, this exhibition focusses of normal people like me and you. Many of the exhibits were donated by the citizens of Wolfenbüttel who in that way contributed to a marvellous exhibition. This museum looks different than many other museums that I have seen so far. The big and bright space is divided into zones. The grand stand of the former sports hall is now placed in the middle of the room and is used as a second level. Up here is where events take place. Visitors have a great view from up here. There are several audio guide stations with further information and also activity stations where visitors can actively engage and experience history. A really good and lively museum that can also be experienced through guided tours.